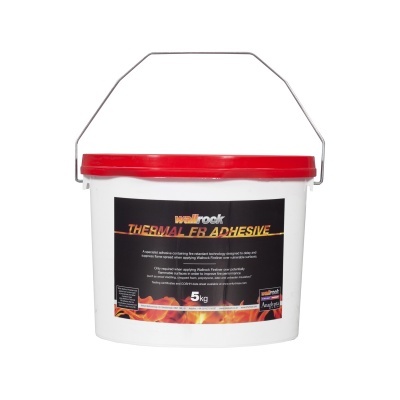 In order to keep up with the ever increasing technical demands for our products, we have developder Wallrock Thermal FR Adhesive - an extra strong adhesive with added flame retardant properties, to help protect combustible surfaces. 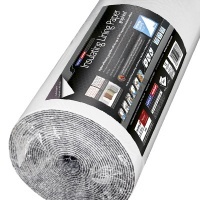 The Adhesive has been designed to create a permanent bond for our technical linings, yes also incorporates active fire retardants that assist with the dampening of flames and helps to enhance the fire performance of the product it is used to hang, such as Wallrock Fireliner and Insulating Lining Paper Graphite Plus. Both of these popular products have been used in conjunction with Wallrock Thermal FR Adhesive as part of a system which have been tested to BS476, the test results can be seen by clicking the links below. It also delays the onset of further combustion. The incorporated flame retardant additives are integrated into two separate mechanisms, each having a synergistic effect on the other. The first endothermically removes heat from the reaction and the second is to create a thermal insulation barrier between the burning and the unburnt components on the wall - this is achieved by creating a protective char, which in turn slows down heat transfer to the unburnt fuel. 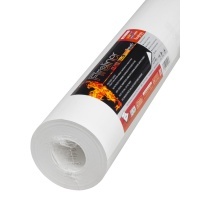 Wallrock Thermal FR Adhesive can also be used to hang other products, where an enhanced fire protection is preffered. Typical consumtion on Wallrock Fireliner is 0.5kg per square metre. 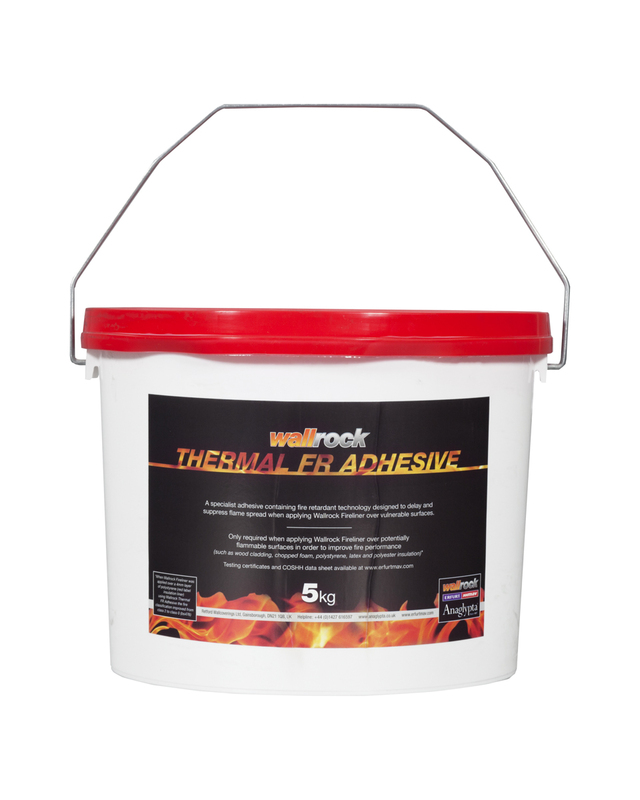 Wallrock Thermal FR Adhesive has had hours of time in research and development to ensure we have the best mix of ingredients - therfore giving the best possible performance. Please note that the type and condition of the surface being covered as well as the surface finishes applied will effect fire performance.